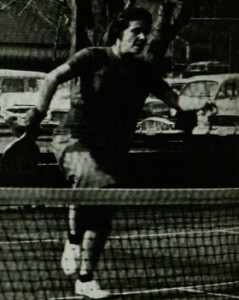 Considered one of the outstanding women players of the game, Madeline (Madge) Childress Beck won 17 National Championships—12 Women’s, 4 Mixed, and 1 Singles—from 1936 to 1960 and likely would have won more except that the Women’s Nationals were not held from 1943-1948, and the Mixed Nationals were not held from 1943-1945 and in 1948. (Fox Meadow Tennis Club). For her first national championship, Madge Beck teamed with Fox Meadow member Marie Walker, but, in 1949, she began playing with her sister Maizie Moore, and the pair did not lose a single set for several years. Top-seeded nationally, year after year, the sisters won the Women’s title five times between 1949 and 1954, and with other partners thirteen times. And, in 1959 and 1960, Madge won the Women’s with her daughter, Susan Beck Wash. In mixed doubles, she has been a national champion four times, and,in singles, once. 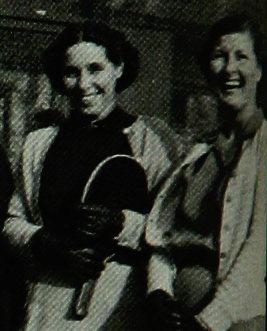 Whenever Blanchard asked someone who knew the game to name the best woman player platform tennis has produced, there was no hesitation with the answer: Madeline Beck. No one else could put away the ball at the net with her finality. No one else had a backhand to compare with hers. And few could match her competitive temperament, her ability to rise to a tight situation and produce a winning shot when it was needed most. 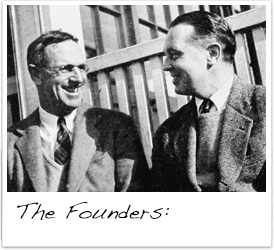 Source: Adapted from: Fessenden S. Blanchard, Platform Paddle Tennis, 1959; and Diana Reische, Fox Meadow Tennis Club – The First Hundred Years.